There are many ways in which a person can choose the most suitable mini trailer camper for various camping adventures. But, some people complain that they were misled towards choosing a camping trailer that doesn’t go in accordance with their recreational goals. Before purchasing any trailer camper, there are many things that a person must consider. The first important thing is to understand your recreational goals. This ranges from how often you plan on traveling and the type o environments you mostly visit among others. The above statements will guide a person towards choosing the most suitable camping trailer. 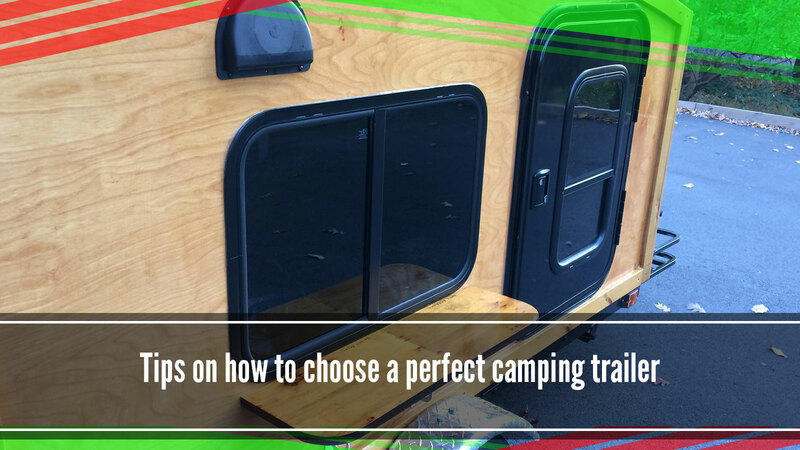 Understanding how often you plan to use your trailer will effectively guide you towards choosing the most suitable mini trailer camper. There are two types of mini trailers. There are those designed for frequent use as they are durable, whereas there are those that are cannot be used on a regular basis. The above characters also influence the prices of a trailer. Understanding your recreational goal will easily narrow down the camper trailer suitable to your goals. This is the stage which determines the type of a mini trailer camper a person will purchase. The checklist helps a person check out the different models available for purchase. There are many models which a person can choose from. These models have different features ranging from kitchenettes to beds. These mini trailers also differ in terms of size. It is very important for a person to choose a camping trailer that will comfortably fit your friends or families when you go for camping. Before buying a trailer camper, sit down and come up with a checklist of the camper brands to check out. It is very important to consult a vehicle expert to clarify certain points. When choosing a mini trailer camper, there are many things that must be confirmed. Big and small vehicles have a limit on the amount of weight it can tow. Understanding this information will help a person choose a trailer suitable for the type of car being used. If a person is not careful on this point, he/she can incur a lot of expenses repairing his/her broken vehicle. A person can choose to purchase either a new or a used mini trailer camper. It all depends on a person’s preference. It is, however, important to understand that these trailer campers tend to depreciate as time goes by. Used mini trailers are cheaper compared to new trailers. It is, however, important for a person to carefully not to purchase defective used trailers. A person should also choose a payment option that is convenient for him/her. The above tips will help you choose a suitable mini trailer to ensure you have a perfect time with your loved one when camping.